More and more footballers are making use of social media; also in connection with their new football boots, where many are keen to put out pictures. We have decided to gather a few examples of these new boot pictures that are floating about on Twitter and Instagram, and in this connection we will also try to guess what the future has in store for us. It is no secret that a growing number of the big football stars are making use of social media such as Twitter and Instagram when communicating with their fans. From time to time this also results in the footballers sharing a little more than they are supposed to. New colourways and boot models that have not yet been revealed can be seen from time to time in the news feed and we are certainly enjoying the sneak peaks. We have collected the latest and best pictures right here. Danish darling, Nikki Bille, currently playing for Norwegian team Rosenborg, is an active player on both Facebook, Twitter and Instagram. He was not late to share it when he got "a new set of wheels for the Ferrari, in other words, a pair of super cool Adidas F50 Adizero in a previously unseen Red/White/Black colourway. 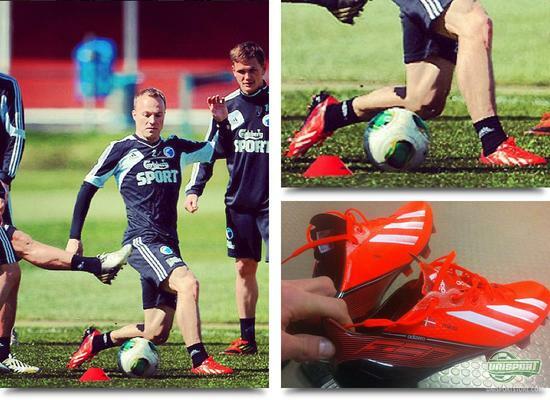 The same boot is shown by FC Copenhagen captain Lars Jacobsen at a training session, as seen in the picture above, as well as, the top picture. Schalke 04's Brazilian, Michel Bastos, was also quick on the buttons, as his sponsor, Adidas, gave him a pair of new boots. The green boot doesn't give it all away, but surely creates some associations with the current Adidas Predator LZ, and one could easily assume that this boot is the successor, especially keeping in mind that Bastos currently wears the Predator LZ. The five deadly zones look to have gotten an update, just as the design also seems to have gotten an overhaul. Possibly the most exciting boot that is floating about on Twitter and Instagram these days, is the one in the picture just above. 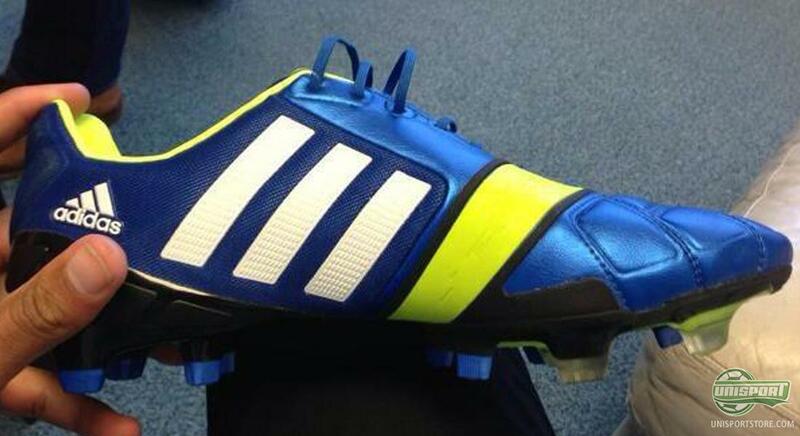 It is clearly an Adidas boot, and Sheffield Wednesday player, Liam Palmer, has shot this picture of it. 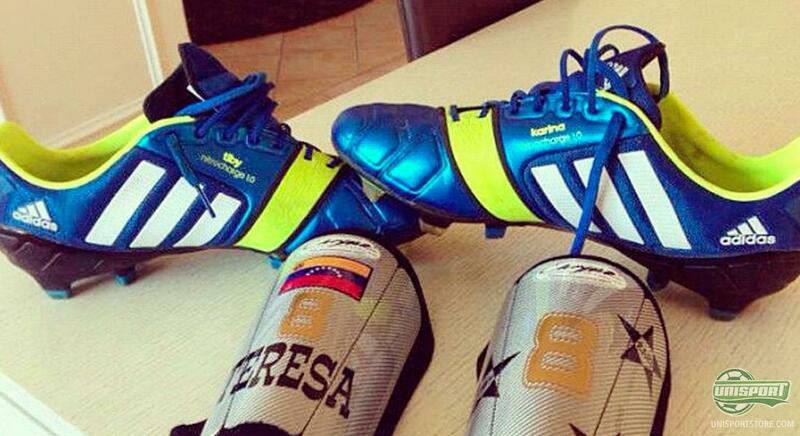 It looks very much like the boot that we have seen being tested by Sven Bender, Manuel Neuer and Ezequiel Lavezzi. 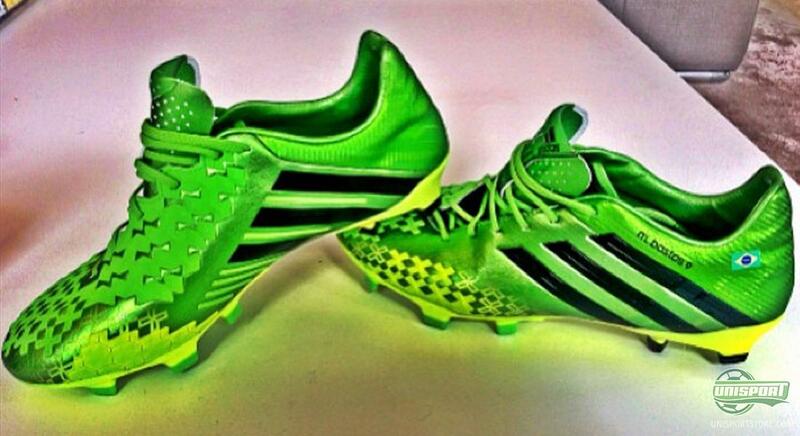 And since it does not look like Bastos' boot, Adidas may have a brand new launch up their sleeve. Over the last weeks, Adidas have teased us via commercial banners during the Champions League games, with the text Nitrocharge Your Game; and when Thomas Rincon from German HSV later on shared the picture seen above, there is a clear pattern. On the medial side of the blue, yellow and black boot is written Nitrocharge 1.0; and since this is not a name we can associate with any of Adidas' current boots, at may very well be the case that the German's have something brand new in store for us. You can stumble upon a lot of interesting things if you look in the right directions around the world of social media; and although nothing is yet official, we can assure you one thing: we have a lot of exciting things coming up in the near future, which we can't wait to tell you more about. Which of the new Adidas boots are you looking most forward to? Feel free to share you comment in the box below.